Thinking about having pizza for dinner? Great! 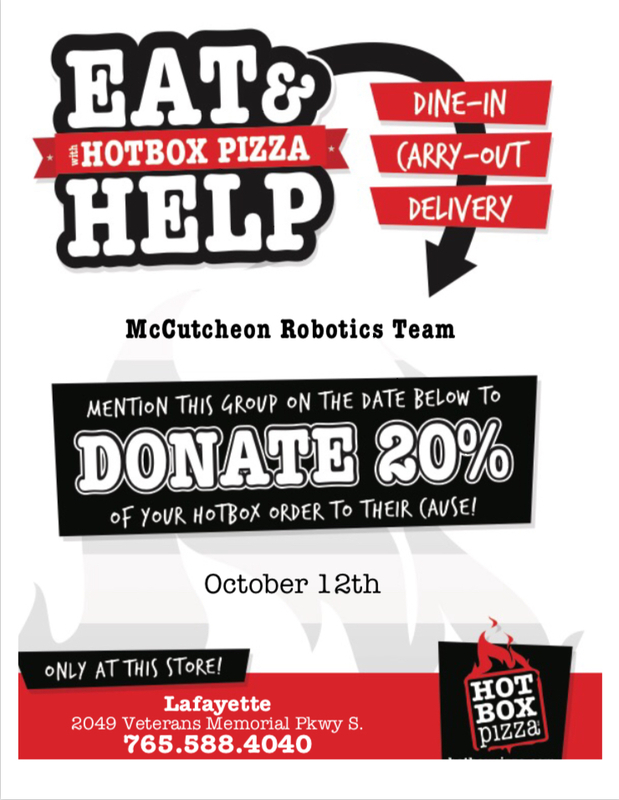 On October 12th our team is holding a fundraiser at Hotbox Pizza on Veterans Memorial Pkway in Lafayette. 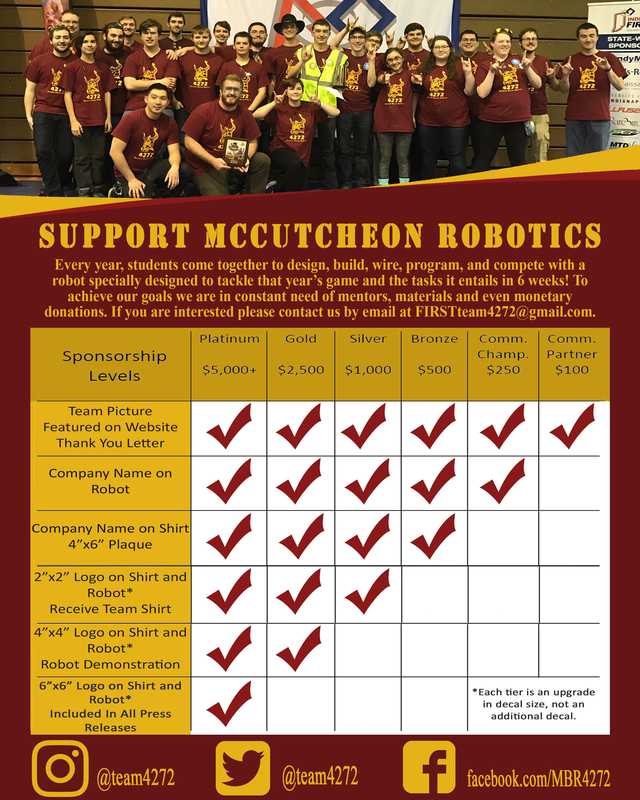 When you go to order, mention our team and 20% of your order will go towards helping our team! We will also be setting up our robot inside if you want to stop by and say hi! October 12th is the only day we will be having this fundraiser so set the date on your calendars! So stop on by and meet the team behind it all at our Hotbox Fundraiser!